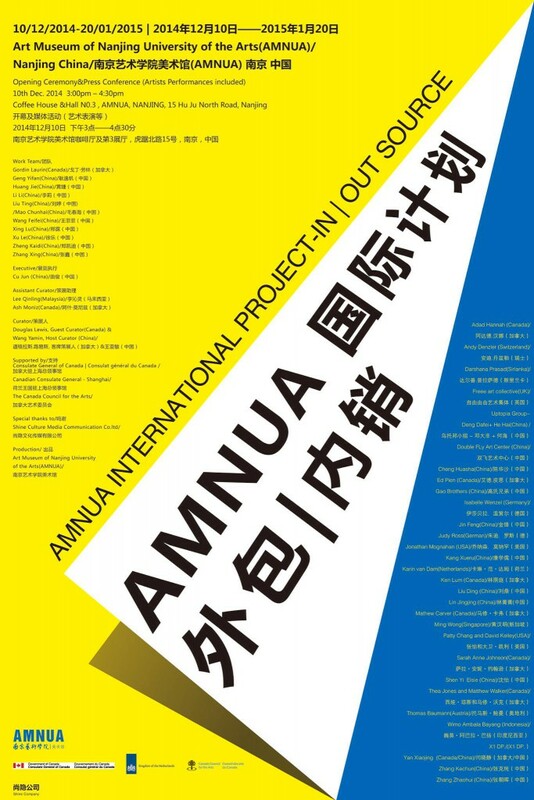 As one of the fastest growing contemporary art museums in China, Art Museum of Nanjing University of the Arts (AMNUA) proudly presents International Project – In|Outsource. It consists of twenty-two international artists with over 150 pieces art-works/productions. The exhibition premise can be interpreted as many forms of “outsourcing” selected artists make connections with cause and effects of outsourcing – directing perceptions from “out” source and reflects back inward toward the original source (humanity), aimed to the core of desire asking two simple questions: are we extensions of our own goods and services, and collectively, are we outsourcing our everyday lives unbeknownst to ourselves? The international project appeals to viewers in hopes that they might consider their relationship to opulence, with sincerity. You are currently reading Art Museum of Nanjing University of Arts(AMNUA)南京艺术学院美术馆展览 at Shen Yi Elsie.